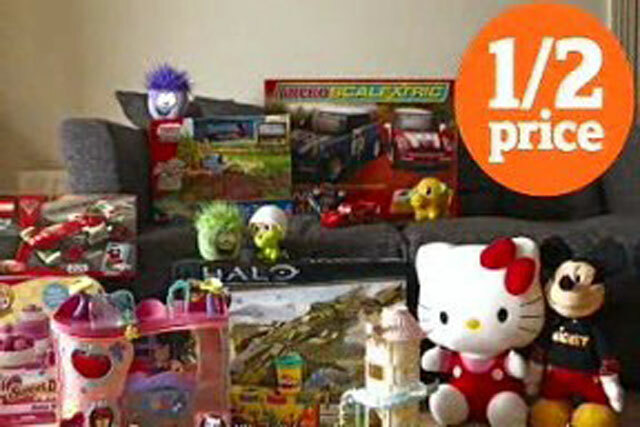 The advertising watchdog has banned a TV ad for Sainsbury's that claimed "right now at Sainsbury's ALL toys are half price", for being misleading as to whether it applied to its online store. The ad, which ran in October and was created by AMV BBDO, featured the claim in a voiceover and also bore a logo which stated "1/2 price". In addition, on-screen text stated: "Selected stores & availability. All toys half price in store & selected toys half price online. Prices range from £9.99 to £34.99. Max six items. Ends 2nd Nov."
It attracted three complaints to the Advertising Standards Authority (ASA), including one from Tesco and two from members of the public. All challenged the claim because they believed only selected toys were available at half price online. Sainsbury's said that the text made clear that all toys were half price in-store and that only selected toys were half-price online. It argued the text did not contradict the headline claim of "Right now at Sainsbury's ALL toys are half price", because the claim was aimed at another shopping medium. Clearcast did not believe the ad was misleading, but the ASA disagreed, saying it was not acceptable that on-screen text contradicted claims made in the ad. It upheld the complaints and told Sainsbury's not to run the ad again in its current form. In December, Tesco was rapped by the ASA, after a complaint from Sainsbury's, for misleadingly implying its lettuce was available to purchase within 24-hours of being picked.